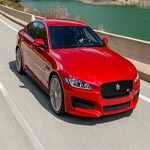 Play this jigsaw puzzle games of the car Jaguar XE S 2016. Play this jigsaw puzzle games of the car Jaguar XE S 2016. This game including 3 car pictures with 3 modes - 3x4 pieces, 4x5 pieces and 5x6 pieces. Use mouse wheel or spacebar to rotate the selected pieces.